The 26th anniversary celebration provides a unique opportunity to meet some of the many researchers who have completed work on Soquel Demonstration State Forest. ​It is a great way to connect with this special state forest that’s in your neighborhood and to learn about sustainable forest management. 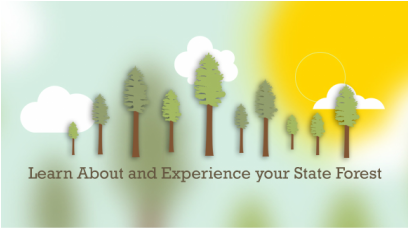 What: Learn about and experience your state forest. How: Ride your bike, hike or take the shuttle. 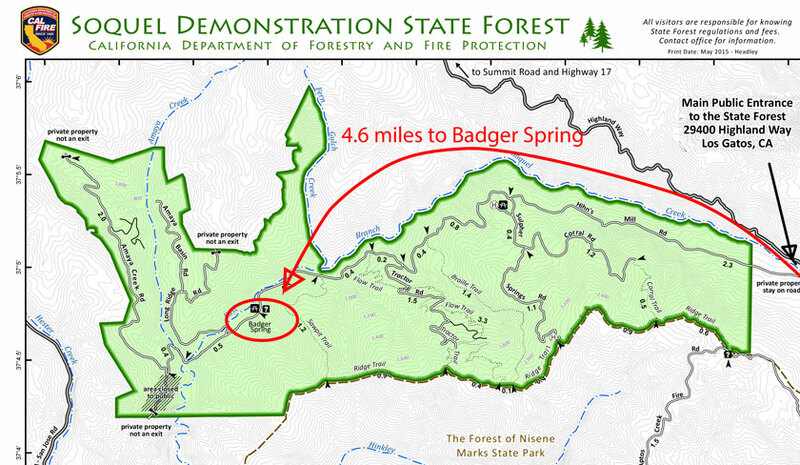 ​Why: So much is happening in the state forest and we want to share it with you! Experts will be available to give presentations, answer questions and discuss all the details about this forest and what is happening here! Research about sudden oak death, forest mammals and disease, mountain lions, fish populations and habitat, reptiles and amphibians, geology and archaeology. Demonstrations on timber harvesting, forest management strategies, education opportunities, trail design and construction. Refreshments will be provided. If you will be attending, please click on the RSVP Button below. How to get to the Open House. Park at the ​Highland Way Entrance, take the shuttle to Badger Springs. RSVP for a free shuttle to the Open House picnic at Badger Springs, deep in the lower reaches of the forest. Soquel Demonstration State Forest is situated in the Santa Cruz Mountains along California’s central coast. Originally part of a Mexican land grant, the property was logged by several different owners prior to the State taking ownership in 1988. Today, the Forest provides the public access to the beauty of the coastal redwoods and the wildlife found in this habitat type. Try out the new Nature Tour that you have downloaded from the Google Play Store for your Android device. It is 4.6 miles from the Highland Parking Area to Badger Spring with 18 stops along the way of 2 to 4 minutes of audio at each stop. Shuttles will be provided throughout the day for those attending the Open House at Badger Spring. There will be shuttles that can also accommodate bikes if you would like to ride in and shuttle out. Tour of Large Wood Habitat Enhancement Project Sites with Cheryl Hayhurst, Certified Engineering Geologist, California Geological Survey. Demonstration of timber falling, bucking and scaling with Licensed Timber Operator Kenny Pelphrey and Registered Professional Forester Steve Butler. Demonstration of Habitat Assessment Tools for Fisheries Biologists looking at what fish eat and how they grow with Sue Sogard and Cynthia Kern, Fisheries Biologists and Researchers, NOAA Fisheries, Southwest Fisheries Science Center.